The reward for a double murder suspect has climbed to $17,500 as the manhunt for him intensifies after an alleged string of violent crimes in Tennessee. Montgomery County Mayor Jim Durrett called suspect Kirby Gene Wallace a "walking crime in progress" on Thursday as he announced a $10,000 reward on top of the $7,500 that had already been offered for his capture. 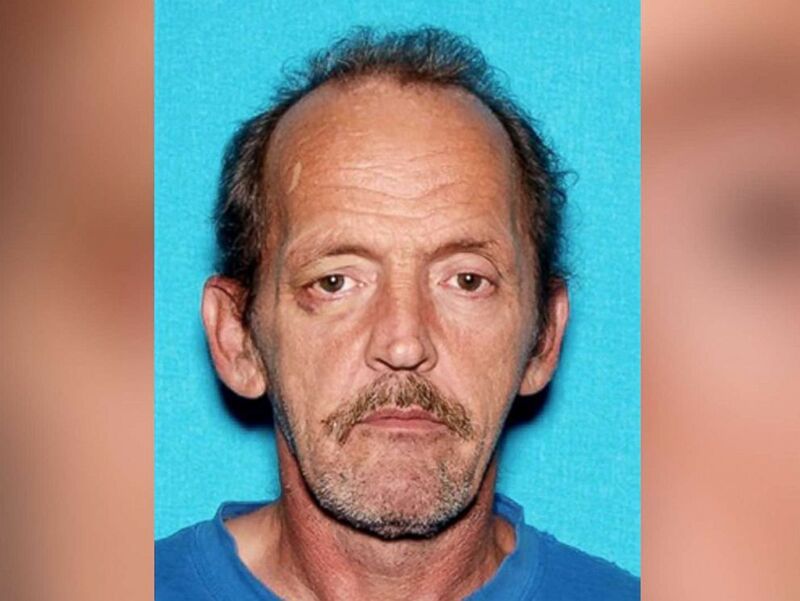 Authorities believe Wallace, 53, remains in the woods in a rural area north of Nashville -- an area he knows well. There are some structures within the woods where he could be seeking shelter, authorities said Thursday. 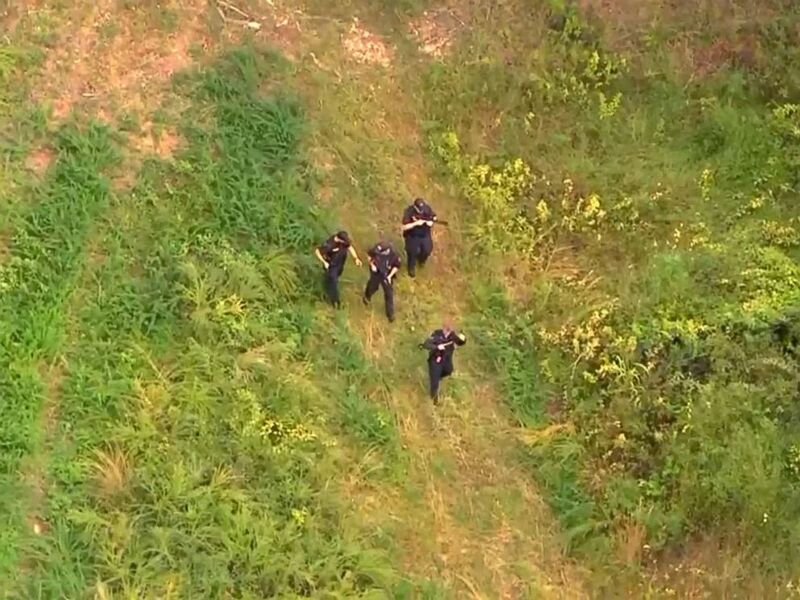 "We're certainly stressed," authorities said at a Thursday news conference, adding that enough law enforcement are in the area that they feel confident they will find him. "You're just scared for the kids," Montgomery County resident Yvette Aguirre told ABC News. "My daughter wasn't sure if she wanted to take the bus." A manhunt intensifies for Tennessee murder suspect as potential sighting is reported. Wallace is suspected of killing a 63-year-old woman after she and her husband came home from church on Sept. 23, Stewart County Sheriff Frankie Gray said, according to The Tennessean newspaper. The couple was bound and their house was set on fire, Gray said, according to the newspaper. The husband survived. Wallace is also suspected of shooting and killing a man and stealing his truck on Monday in Montgomery County, The Tennessean reported. Kirby Gene Wallace is pictured in this undated photo released by Tennessee Bureau of Investigation. Days earlier, a woman in her 80s was returning home from church when Wallace allegedly stopped her at her car and forced her into her home at knife-point, the Montgomery County Sheriff's Office said. Inside the home Wallace allegedly showed the woman a loaded rifle, threatened her and took apart her phone to keep her from calling for help, the sheriff's office said. Wallace allegedly tied her to her bed before fleeing in her car, officials said. Wallace is described as having gray hair, hazel eyes and possibly facial hair. He stands at 5 feet 10 inches tall and weighs 157 pounds, authorities said. Wallace is wanted on charges including first-degree murder, felony murder, attempted murder, aggravated arson and especially aggravated kidnapping, authorities said. Anyone with information about his location is asked to call 911.